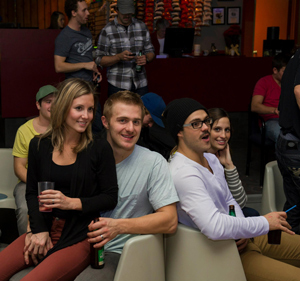 League Bowling is a great way to relax, have fun and spend time with old friends and even make new ones. Whether you’re a beginner or an experienced bowler, our staff would be happy to help choose a league that’s right for you. Our 5 and 10 pin leagues are full season leagues from September to April. 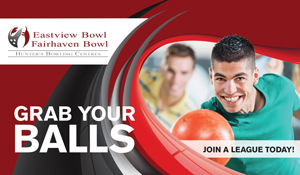 We welcome new bowlers anytime through the season. You can join as an individual or as a team. If you have 16 people or more, we will assist you in setting up a league of your own. League season runs September to April. Whether you’re looking for serious competition or just some serious fun, bowling is a great way to relax, have fun spend time with old friends and even make new ones. Either way Hunter’s Bowling Centres have a bowling league for you. 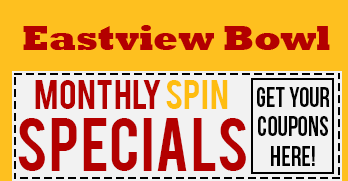 If you’re looking for new hobby or you’ve been bowling for years a 55+ league is ideal for you. This league is a great combination of excercise and socializing. Whether you’re looking for serious competition or just some serious fun, bowlng is a great way to relax, have fun spend time with old friends and even make new ones. Either way Hunter’s Bowling Centre has a bowling league for you.